Alessandro spent the last year photographing Paolo Nespoli in the training centers across Europe and the US. 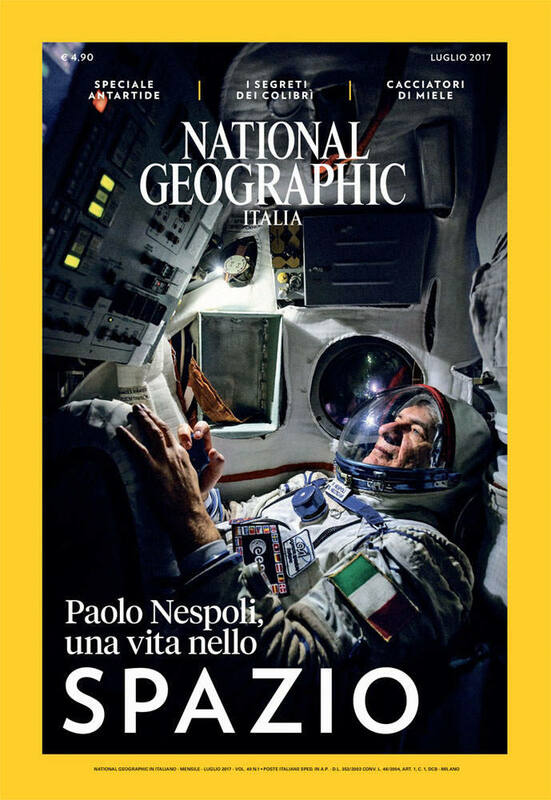 Paolo is the first 60-year-old astronaut ever to be sent to a 6-month-long mission, and Alessandro’s job was to create a photo essay about him. In Star City in Russia, Alessandro was supposed to photograph Paolo as he was sitting inside the Soyuz launch module simulator. As he entered the simulator, all lights went off. The people from the outside knocked on the door, telling Alessandro that he had only one minute left. He had some LED lights outside, but there was no way of leaving the module because they won’t let him back in. And he hadn’t even taken a single photo yet. So, he had to come up with the solution really fast, and work with what he had. He had his smartphone on him, so he had an idea. As he describes it, it was “one of those crazy ideas that only come to you when you are desperate.” He turned on the tiny LED on the phone and put it between two panels behind Paolo. Since the module was very small, it was enough to light the scene enough so he could take the shots. Time was running out quickly. With the “desperate man’s lighting setup” and only a few more seconds left, he had time only to take two landscape and two portrait shots. After this, he was obliged to leave the module. But still, among only four photos he took – there was the one. Out of all the photos, he took on the task, NatGeo chose one of these for the cover. So, the photo made in a few seconds, lit with a phone LED light and taken with a 10-years-old DSLR ended up being on a cover. Some would say it was pure luck. Of course, there’s always some luck involved in crazy situations and stories like this. However, not all the luck in the world wouldn’t be enough if the photographer wasn’t a quick thinker, a problem solver and of course – a master of his craft. Love this story, although emphasising the age of the dslr is pretty silly because it is still a pro level camera, and ten year old gear still performs really well!